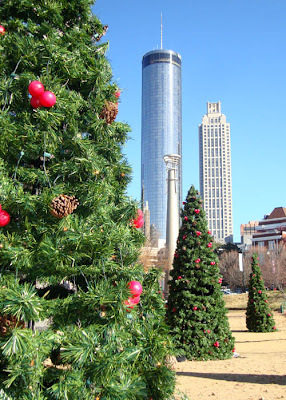 In the heart of downtown Atlanta, Centennial Olympic Park is decked out for the holidays...and it's teeming with activity! Visitors, locals and tourists, are strolling, ice skating and and making funny photos of each other in the Olympic Rings Fountain. The evening lights are a spectacular sight to see. 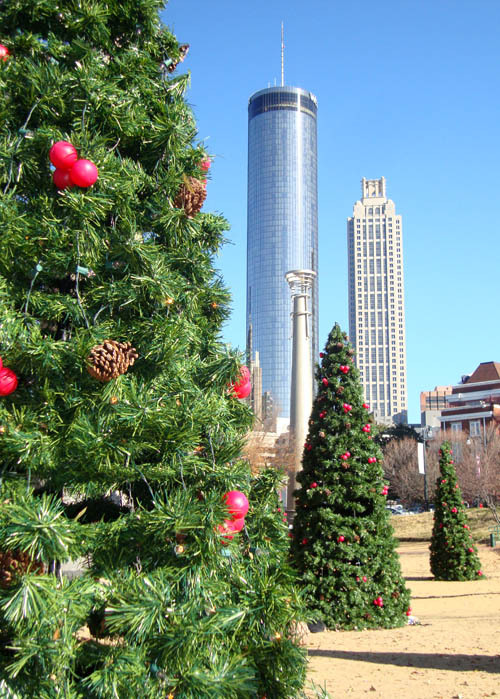 Under the backdrop of Atlanta's beautiful skyline, the entire park twinkles.